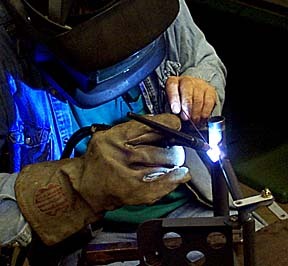 Compliance with the bulletin consists of welding reinforcing gussets to the pedals to strengthen the welds. Pedals shipped following the bulletin have the gussets already installed. 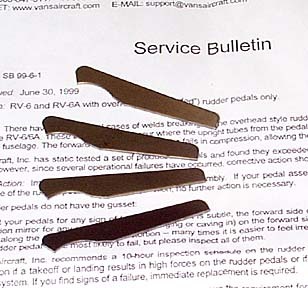 The gussets are available from Vans at no charge to RV-6/6A builders/pilots who have the unmodified overhead pedals. RV-9A builder Randall Eckstein graciously agreed to weld the gussets to my pedals. 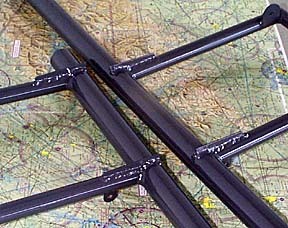 Removing the pedals from an assembled aircraft can be an exercise in patience due to the confining space under the panel. Splitting the bearing blocks can make the re-installation a little easier. Here are the pedals with the gussets welded, painted, and ready to reinstall. Expect to spend at least four to six hours on the job.